The " Tricycle of the Marionettes " is a spectacle of street especially designed for an initiative of the direction of the activities of the Park of the Alamillo in 1996, where it has acted every year, to the fall of the Sun in summer, for the families that go to enjoy the freshness of his gardens. The spectacle is a metaphor of the Traditional Puppeteer Good walker who, since it comes goes away, stopping besides if a poetical, intense, brief unforgettable recollection. 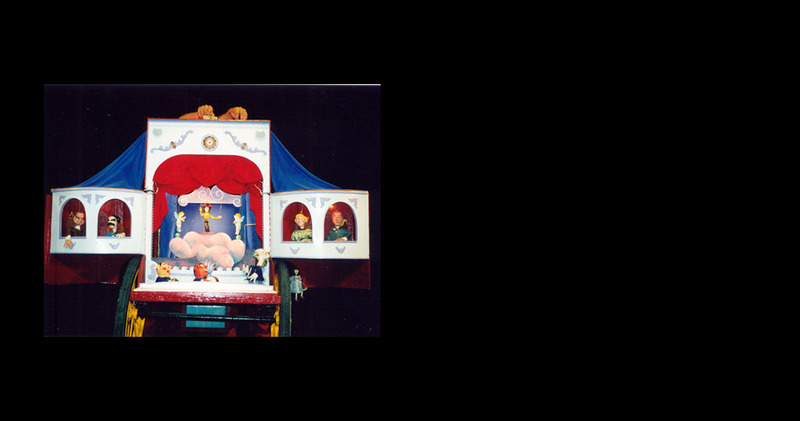 Tiny marionettes of all kinds threads, rod to the head and automatons, encourage in a handcrafted theatre, which he remembers to the old men teatrillos familiatres of when neither the radio nor the television existed. Constructed with the precision of the restorer, they create the illusion of a fleeting return to the past, where they wait for the romantic histories of love " to cry " you do not exempt of humor and mischievousness.